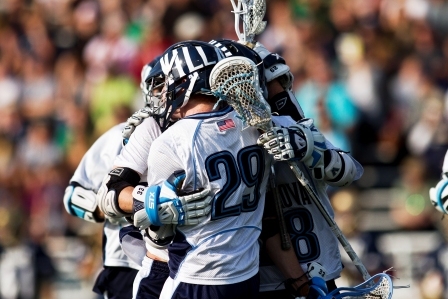 CAMP DESCRIPTION: The Villanova Lacrosse Camp is open to all players that are currently in grades 4 through 8. No players that have started high school are permitted to attend. The camp is focused on individual instruction and developing the team player. Instruction and coaching will be geared to the ability and talents of each individual camper. The camp is designed to improve fundamental skills and techniques while advancing the players' understanding of game concepts and team play. All players will be challenged to reach their highest potential by an outstanding staff of college coaches, high school coaches and the best college players from all over the country. CAMP SETUP: Player will be divided into age and experience appropriate groups. CAMP STAFF: The camp will be staffed by the Villanova coaching staff, local high school coaches as well as current college players. 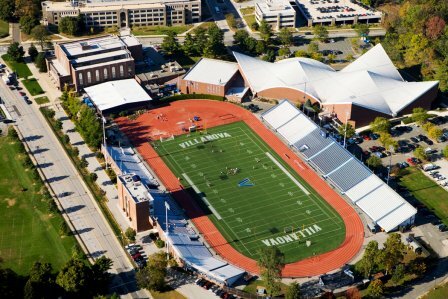 FACILITIES: Campers will use both field turf and natural grass fields, including Villanova Stadium. All campers will be housed in on campus air conditioned dormitories and will eat all meals in on-campus dining halls. 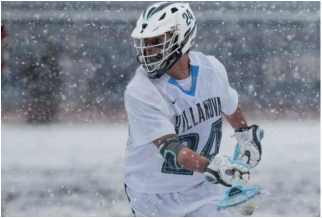 Dormitories will be monitored by Villanova Lacrosse Camp staff as well as our Villanova Public Safety Office. Camp Itinerary: Our camp will be broken into three different teaching strategies. We will focus on individual player development with players divided by position and instruction will focus on position based skill instruction. The afternoon sessions will focus on team-oriented concepts. In the evening players will incorporate skills learned into game situations. We are looking forward to a great week of camp. I have included check in and check out procedures, the camp schedule and directions to campus and the dormitory. Have a great 4th of July weekend and we will see you on Wednesday. OVERNIGHT CHECK IN will run from 1:00-2:15PM and will take place in front of St. Katherine's Hall. Below is a link to our campus map, Katherine's Hall is Bldg. 39 on the map. It is best to pull into circle area in front of dorm drop off and then park in I-2 parking lots located behind the dorms. COMMUTER CHECK IN will begin at 1:45. Commuters will be dropped off each morning at 8:30am and picked up each evening at 8:00pm in front of Katharine Hall. CAMPUS MAP LINK: The map includes directions to campus. Prior to arrival please go to www.villanovalacrossecamp.com and click on the Forms tab on the left side of the home page. You will need to print out and complete three forms. There is no longer a third form needed! Please make sure that the players and parent's names and signature are accurately completed. These forms will be collected at check in. If for some reason you are having difficulty printing our forms they will be available at check. If you are driving children other than your own can you please make sure they have their forms for check in. Step 1: The procedure for check in will be as follows. You will first turn in your twowaiver forms. The first is the Exhibit C Villanova University Waiver Form. The second form is a Parental and Consent waiver form. Step 2: You will receive your envelope with your room assignment (all players will receive a card with a six digit code to get into their room). It is recommended you put this code in your phone or keep the card somewhere safe. You will also receive a swipe card that will give you access to the dormitory as well as the dining hall. Step 3: You will receive your pinnie. Step 4: Pizza Money. Each night we will have individual pizzas delivered at 8:15pm. You must pre pay for the pizza when you check in. Pizza is 10.00/day. If you want pizzas for each night you must pay for all days at check-in. Step 5: You will be assigned a coach. The list will be posted outside the dorm. Make sure you find out the name of your coach. You will need to check in with your coach for attendance purposes at the beginning of each session. All players have initially been divided up by age. If we feel there should be changes based on ability we can make those changes. Please do not make any changes yourself. Step 6: Move into your dorm. You must provide your own linens and pillows. The dorms are air conditioned so remember to bring a blanket. You are permitted to bring your own small refrigerator. Rooming Assignments: Simon Connor my Associate Head coach is in charge of room assignments. If there are any concerns he will be available at check in. Every effort has been made to accommodate roommate requests. Please do not make any changes without confirming with Coach Connor. Trainer: We will have trainers on site the entire camp. If you have any special medical or dietary needs please speak with our trainer Adam Edwards . He will be at check-in on Wednesday. Gatorade and Water will be provided at all fields. All players will meet outside of Katharine Hall at 2:30 for a short camp meeting. The first session will begin at 2:45pm. The first meal of the day will be dinner at 4:45pm. We will meet outside the dorm at 4:30pm. 2:30PM Camp Ends. Campers will return to dorms to move out. From New York and New England: Take the New Jersey Turnpike (95) to Exit 6 (Pennsylvania Turnpike (276) Exit). Take the Pennsylvania Turnpike (276) Westbound to Exit 20 (Mid-County Interchange) I-476 South/Chester. Follow I-476 South to Exit 13 (Villanova/St. Davids). At the bottom of ramp turn right onto Route 30 East, also known as Lancaster Avenue. Proceed east on Route 30 (Lancaster Avenue) for just over a one-half mile. You will make a right turn on Ithan Ave. Katharine Dormitory will be the third building on your left. From the West: Take the Pennsylvania Turnpike (76) to Exit 326 - Valley Forge (formerly Exit 24). Take I-76 (Schuylkill Expressway) to Exit 331A(I-476 South/Chester) to Exit 13 (US 30 St. Davids/Villanova) to Route 30 East, also known as Lancaster Avenue. Proceed east on Route 30 (Lancaster Avenue) for just over a one-half mile. You will make a right turn on Ithan Ave. Katharine Dormitory will be the third building on your left. From the South: Take I-95 North to Exit 7 (I-476 (Blue Route) North-Plymouth Meeting). Take I-476 (Blue Route) North to Exit 13 (Villanova/St. Davids) Lancaster Avenue) to Route 30 East, also known as Lancaster Avenue. Proceed east on Route 30 (Lancaster Avenue) for just over a one-half mile. You will make a right turn on Ithan Ave. Katharine Dormitory will be the third building on your left.